In the aftermath of an apocalypse, two extreme worlds—one at the bottom of the ocean, the other in the vacuum of space—are all that remain. Now, the dark forces behind the disaster will turn trusted allies into mortal enemies. From 20,000 Leagues Under the Sea (1954) to seaQuest DSV (1993), there have been a limited number of science-fiction stories in film and television that have depicted underwater environments. Fewer people have been to the deepest depths of the sea than walked on the surface of the Moon. With less than eight percent of the ocean floor explored, the potential of the alien world on our own planet is limited only by human imagination. Fewer people have been to the deepest depths of the sea than have walked on the surface of the Moon. What would it be like to live down there? How would we survive? Oceanus: Revelation is a futuristic, aquatic and space adventure set in the mid-21st Century. The dramatic, ten-hour miniseries features an expansive human odyssey that focuses on a unique cast of diverse characters while providing a thrilling backdrop of action and amazing technologies. What if a trillionaire entrepreneur with delusions of godhood decided to change the course of history? Driving an asteroid similar to the one that wiped out the dinosaurs into the Earth, he forces a new path of evolution upon an unsuspecting world. Oceanus follows a team of diverse scientists and engineers who are shielded from the doomsday event in a spectacular, futuristic city beneath the sea. Together, the crew fights the elements, dwindling supplies, attacks from marauding survivors from around the world in submarines and other undersea facilities and the incessant plotting manipulations of the power-mad individual who initiated the armageddon in the first place. Oceanus: Revelation has been developed for premium cable or digital outlets. 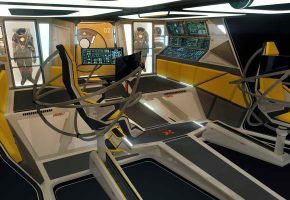 The program is essentially a bottle show—much like Star Trek: The Next Generation or Battlestar Galactica—where stories are typically filmed within the same number of limited, high-quality sets and locations. 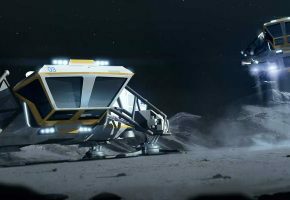 Occasionally, the action will translate to other locations such as enemy submarines and research outposts and eventually to a base on the surface of the moon—which will feature prominently in the show’s plot as the story progresses. In addition, Oceanus will also take viewers from the underwater world to a base on the surface of the moon. Oceanus also features amazing vehicles and undersea locations. These will be realized via computer-generated visual effects and perhaps even a limited number of photographic miniatures. The goal will be to make the program as economically as possible, while retaining high production values. From an artistic standpoint, Oceanus will be shot with high-quality cinematography similar to the USA Network series Mr. Robot or the UK series Broadchurch. The goal will be to bring out great humanistic performances while using the combination of solid, futuristic art direction and visual effects in an artistic and memorable style. Oceanus is intended for intelligent, adult audiences while still featuring a broad and general appeal. While it will showcase adult themes, it will never contain graphic violence, gore, or strong sexual content. The focus will be on engaging, old-school, action- adventure centered around powerful character drama as opposed to hyper-sensationalism. But this undersea marvel is not a vision of utopian perfection. In the freezing depths and crushing pressures, the Oceanus crew is forced to meet impossible deadlines to complete the construction of the city and forced to pursue aggressive undersea research projects which lead to danger and avoidable deaths. 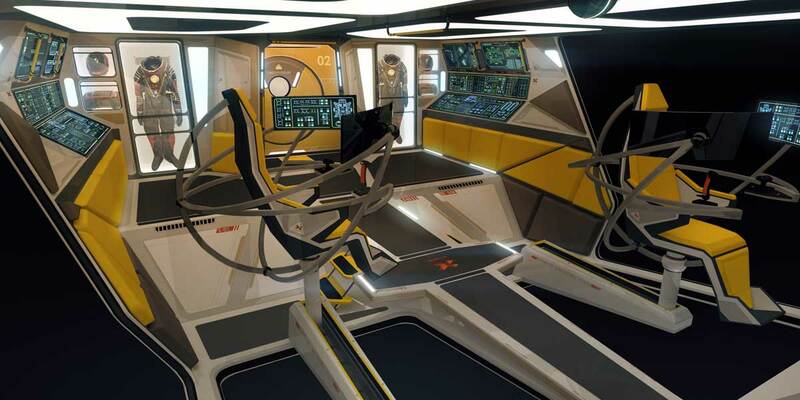 This leads to a pitched conflict between base commander/designer Ben Matthews and wealthy financier, Dorian Xanthis—owner of the company that built Oceanus. This seeming no-win scenario is faced by a group of six unique individuals: base commander Ben Matthews is a strong, yet compassionate professional unwilling to risk lives unnecessarily—he is also quick to put himself in personal peril when action is needed; scientist Dr. Sara Drake yearns to make big discoveries but is under pressures professional and personal; biologist Dr. Kate Hickman works with and for Sara but has a secret agenda; Zhang Wei Gao and his wife Li Juan Gao are mission specialists and professionals who are excited for the adventure, yet may crack under the professional strain; while the rough and tumble Jo Esposito, pilot of the temperamental sub Inari, is a wildcard ready to do her job but never at the expense of her family back on the mainland. Complicating their dilemma are the taciturn, necessary but frequently unhelpful Triton computer system, and its creator and alter ego, confirmed genius and rumored madman Dorion Xanthis, whose fortune made Oceanus possible and whose intractable schedules threaten everything. Xanthis has a grand design which he shares with no one, but which Matthews and company must uncover to survive. Spectacular aquatic visuals serve as a backdrop for this epic adventure, from the futuristic beauty of technology-unchained that is Oceanus itself, to the fiery hell of seismic fissures at the foot of undersea volcanoes, with stops at a fantastic floating airport, Humankind’s destiny will be decided at crush depth. Xanthis escapes the Cetus disaster to arrive at his private space station above a devastated Earth. He’s met by Sandra Ellis, commander of the Xanthis Lunar Research Facility. Colluding with her, Xanthis shares his failure to capture Oceanus and says it’s time to move to “Plan B”, revealing that he has a mole at the base. They head to the Moon to regroup. 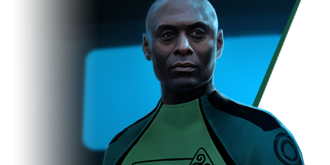 Back at Oceanus, Matthews and his team prepare to send a rescue team to Japan to evacuate Jo Esposito and a group of dying survivors trapped in a shelter at Xanthis Headquarters. Before departing, the team begins the difficult task of dismantling a Triton Network filled with booby traps. On the Moon, Xanthis tell a shocked Moonbase crew that Matthews has gone mad and is responsible for the destruction of the Earth. He tells them his plan to capture Oceanus. A flashback reveals Jo Esposito’s struggle to make it to Japan after escaping the Emperor Trench. Crossing a devastated landscape, she makes her way to an impromptu underground shelter set up by Kate Hickman’s contact at headquarters. There Esposito finds her wife and daughter amongst the survivors. A new wave of meteor debris cuts off the air and water supply forcing an evacuation. Esposito reaches out to Matthews and Oceanus for help. As Matthews, Drake and his team leave for Japan, Oceanus second-in-command Alan Carter and computer scientist Aubrey Cheng begin working on turning the dismantled Triton units into a new cybernetic lifeform that could be essential to the future of the base. Arriving in Japan, Matthews and Drake fight to save Esposito and her family as the survival shelter collapses. In a deadly turn, Esposito’s wife, Keiko sacrifices herself to get her daughter to safety. A bitter Esposito want revenge against Xanthis if he is still alive. Back at the base, with the new, cybernetic, Triton-based Exospheres operational and repairing the base, Alan Carter is revealed to be Xanthis’ mole as he communicates to his boss his intention to use the robots as a new means of controlling the base. With the advent of the Exospheres, Xanthis has his sights on returning to Oceanus. Drake begins to bond with Esposito’s daughter Jimena who is devastated by the loss of Keiko. Matthews catches Carter during a clandestine communication with Xanthis. Carter reveals aspects of Xanthis’ plans to retake the base and is placed in the brig. Learning of Xanthis’ existence on the Moon and the plot to frame him, Matthews realizes that he has to confront the people of Moonbase. Unexpectedly, a Russian submarine carrying naval survivors shows up at the In the midst of the chaos, they demand that Matthews hand over the base’s high-efficiency, thorium reactor core. As research outpost, Oceanus is no match for the Russians. Amina Mburu, the chief engineer of Oceanus, decides to unilaterally steal the core, taking it to a waiting Russian submarine to buy Matthews time. The base will freeze within hours. Mburu has left behind a plan to re-establish hydrothermal power from the dormant volcano where Oceanus is situated. Drake begins to work on it as Matthews leads a strike team to recover the reactor core and retrieve Mburu. The core has been taken to a Chinese mining vessel where a coalition of naval interests has gathered. Their goal is surviving in a sea that will soon begin freezing in the wake of the impact. Sharing evidence of Xanthis’ manipulation of Cetus, Matthews strikes a deal to share food and technology in return for access to the one remaining rocket launch facility on Earth—a Russian base in Antarctica. The Russians are game as to help him get to the Moon and stop Xanthis forever. 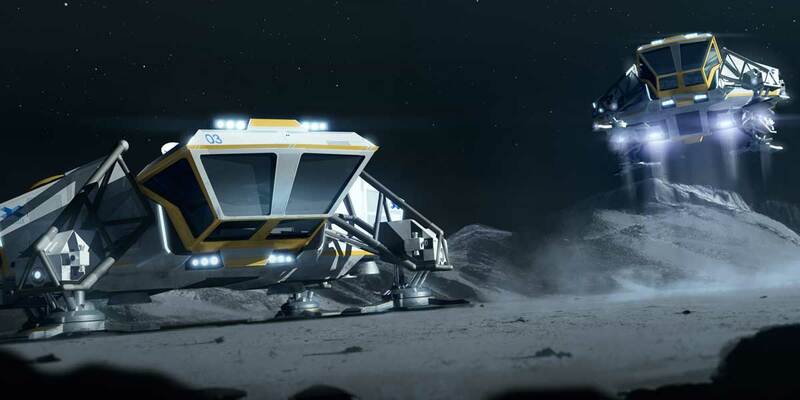 With the base now functioning on geothermal power, Matthews decides to go venture to the Moon to confront Xanthis. He is joined by Esposito. Drake remains behind to stay with Jimena and command the base. In a perilous journey across the post-apocalyptic sea, Matthews and Esposito make their way to Antactica with the Russians. There they find a vehicle and launch. Meanwhile, Xanthis and the team from Moonbase are preparing and assault of their own. Out of contact with Carter, he knows they have to move. As they launch in a special combat shuttle, Xanthis sends a special code to Oceanus, activating the exospheres! The Exopsheres are reeking havoc on the base. They release Carter from his cell and begin seizing control of systems. Carter has began to have second thoughts as he witnesses the violence of his creations. Meanwhile, separated by completely different orbital approaches, the crews for Oceanus and Moonbase pass each other in space. Matthews and Esposito arrive at the Moonbase and with the help of the Russian assault team, fight their way in. After a tense standoff, Matthews gets the current base commander, a scientist named Gay Morrow, to listen to reason. He didn’t reprogram the asteroid thrusters, Xanthis did! The Moonbase crew stands down just as Xanthis and his cronies arrive at Oceanus. The base is now overrun by the Exospheres. Xanthis makes his way to Main Mission where he claims control of the base from Drake. The world of Oceanus will showcase the possible as opposed to fantasy. The program will explore the aspects and potential of the undersea world in ways never before seen in science fiction—from futuristic submarines with virtually-indestructible, transparent aluminum windows (a real material created in 2015! ), to wave power generators and floating fish farms. Don’t expect tired cliches like giant squid attacks or ghost ships. Dealing with the constant perils of cold, high-pressure water and undersea volcanoes— reactivated by the asteroid strike—will be deadly enough to give our characters trouble. In the story, the location of Oceanus Base was chosen for a simple reason; volcanism. The Hawaiian-Emperor Seamount Chain is an undersea mountain range containing over 80 underwater volcanoes. This means that even from a plateau on top of a seamount, relatively close to the sea surface, there is convenient access to geothermal energy. Oceanus is powered by this energy. Oceanus will delve into the possibilities of using water itself as a tool, weapon, or building material. Oceanus will also deal heavily in robotics and artificial intelligence—topics that dominate today’s tech headlines. The interior and exterior of the underwater city will be teeming with cybernetic constructs, some remotely controlled, while others will be autonomous and even sentient. These elements will be key to the story and will influence it in unexpected ways. Another fascinating aspect of Oceanus that will be introduced in the feature film are hypothetical bacteria found within the Emperor Trench. Nearly four billion years old and thriving in the superheated water flowing from volcanic vents called ‘black smokers’. In what many consider to be the heyday of the genre, the 1960s and early 1970s, science fiction was visionary, cautionary and often optimistic. 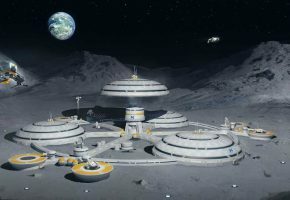 Series like Gerry Anderson’s UFO and Space: 1999 depicted futures where a clean, forward view of technology and human achievement were set against a backdrop of narrative twists and turns and challenging villains. Oceanus will take a similar positive approach. The goal of our heroes is to fight the degeneration of morale and technology and always remain in the light. Aesthetic over grunge. Life over death. After the success of The Martian, reality-based sci-fi is on the rise. Additionally, the past decade or so has given us some of the best sci-fi television programs of all time—among them, Firefly and the Battlestar Galactica remake. Via strong, tight narratives and out-of-the-box storytelling, these character-driven shows broke the mold of the sci-fi formula and gained a loyal fanbase. Oceanus is being cut from the same disruptive cloth. With all-new Star Wars adventures on the silver screen and Star Trek: Discovery set to launch on CBS All-Access in 2017, the realm of the ‘space opera’ is again reaching critical mass. With outer space fully covered, what about inner space? With its down-to-earth, underwater focus, Oceanus is designed to appeal to men and women (females are a growing audience for sci-fi), ages 25 to 64, who typically enjoy space-themed programing. Oceanus will never fall into camp or “monster-of-the-week” territory. While the story has many moments of humor and levity, it will take itself seriously in the quest for a standard of realism and believability. On the first manned journey to Venus, things are not what they seem to be.